Tamari Soy Sauce Powder. Naturally fermented Soy Sauce (Tamari Style) spray dried on a maltodextrin carrier. Provides a light tan, free flowing powder that is completely soluble in water. Provides a smoother flavor than regular soy sauce. 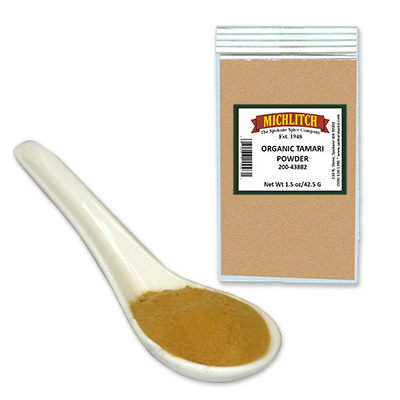 Our Organic Tamari Powder concentrates the savory, mildly salty, umami-rich flavor of the ubiquitous Asian condiment into a versatile, finely textured powder that can be used for a variety of culinary applications.